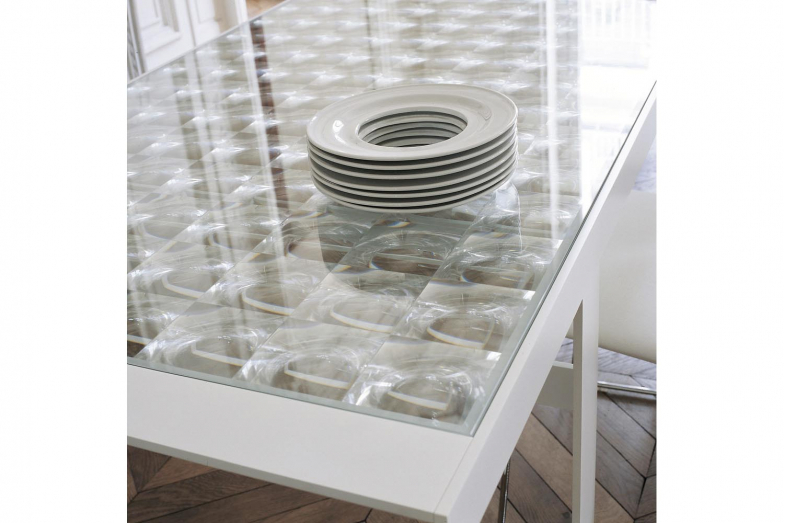 Lens table and small tables were developed from a study of a clear surface offering a great feeling of depth. The result is two sheets of glass with a special film inside. 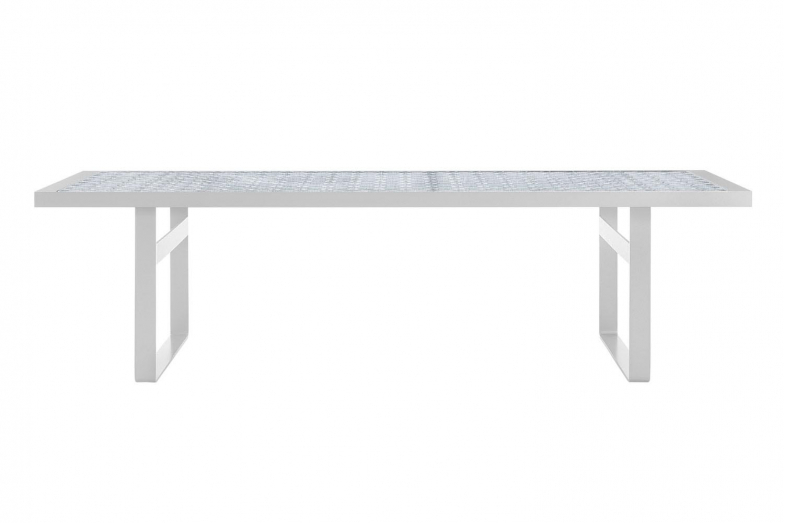 The table is enclosed in a metal frame and sustained by two supports.